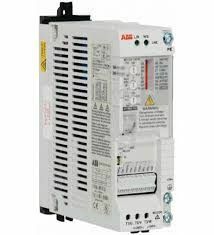 The ABB ACS55 guarantee speed and control feature in an assortment of your low power applications, for example, automatic gate , solar trackers, treadmills and whirlpool showers. It is easy to set up and commission, it also consist of adaptable mounting options. The Drive Config kits permits set up without a power connection with the drive. The drive consist of basic EMC filters that are suitable for domestic networks. ACS55 offer an economical solution for applications like treadmill, automatic gates , whirlpool baths etc. We are a 25 years old ISO: 9001 certified company located in Indore, India in the field of providing instruments and automation solutions. We believe in providing wide range of class products with most optimal solutions to our clients. Powered by Digital Marketing Systems Pvt.Ltd.